This step-by-step tutorial shows you the VPN Mac setup process in full detail. Protect your privacy, enhance your security, and browse with anonymity on your Mac by using a VPN! TIP: You can also install a VPN easily on Windows, Android phones, Firestick / Fire TV, iOS, and pretty much any major operating system. In this second part, we simply download the file that installs the VPN app on your Mac. Now that we downloaded the app, we just launch the installer (in Step 2 below). 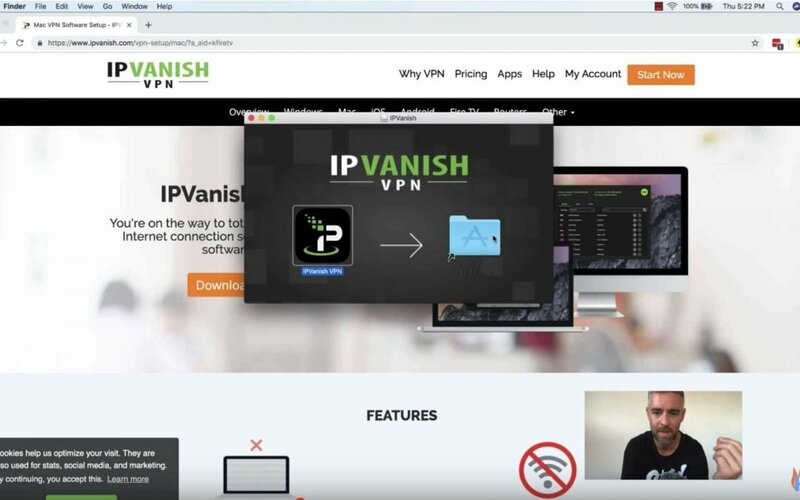 In this final step of this process, we enter your IPVanish username and password to Login and Connect to the VPN. You’re done! Once you are Connected to the VPN server, all your traffic is encrypted. Nobody can see what information you send / receive when you use a VPN. Why? Because a VPN encrypts all the data that is transferred to and from your Mac, PC, or any other device. Your online security in general is maximized when you use a VPN. Why? Hackers use your computer’s IP address to try and target you. Since your IP address is hidden when you use a VPN, your security is increased as well. When you browse the web while using a VPN, your connection looks like it is coming from somewhere other than your actual location. Therefore, when you browse with a VPN, you browse anonymously. Geoblocking happens when you go to access something on the web and you’re not allowed in because of your location. Using a VPN can get around this! What Do I Do After I Install the VPN? We recommend you check out an IP address-checker website. These show you what other computers see (about you and your location). Go to an IP address check website and see what it tells you about your location and IP address. If your location and IP address are different than what they are normally, then you’re connected to the VPN and good to go. Now that you can use a VPN server in virtually in country in the world, you have the ability to access restricted websites.